THE HINDU SWAMI LECTURES BEFORE SEVERAL SOCIETIES. The Swami Vivekananda has, during the past few days, conducted a most successful work in connection with the Procopeia. During this time he has given four class lectures for the club itself, with constant audiences of between four and five hundred people, at the Allen Gymnasium, 44, St. Botolph street, two at the house of Mrs. Ole Bull in Cambridge, and one before the professors and graduate students of the philosophical department of Harvard University. The idea, which brought the Swami to America three years ago as Hindu delegate to the Parliament of Religions, and has been the guiding motive of all his subsequent work, both in America and England, is one which appeals strongly to the people whose creation the parliament was, but the methods which he proposes are peculiarly his own. One of his lectures during the week has been "The Ideal of a Universal Religion," but a "harmonious religion" would, perhaps, equally meet the case, if, indeed, it would not more adequately express that for which he is striving. The Swami is not a preacher of theory. If there is any one feature of the Vedanta philosophy, which he propounds, which appears especially refreshing, it is its intense capability of practical demonstration. We have become almost wedded to the idea that religion is a sublime theory which can be brought into practice and made tangible for us only in another life, but the Swami shows us the folly of this. In preaching the Divinity of Man he inculcates a spirit of strength into us which will have none of those barriers between this life and actual realization of the sublime that, to the ordinary man, appear as insurmountable. I have also my little plan. I do not know whether it will work or not, and I want to present it to you for discussion. In the first place, I would ask mankind to recognize this maxim: "Do not destroy." Iconoclastic reformers do no good to the world. Help, if you can; if you cannot, fold your hands, stand by, and see things go on. Therefore say not a word against any man's convictions, so far as they are sincere. Secondly, take man where he stands, and from thence give him a lift. Unity in variety is the plan of the universe. Just as we are all men, yet we are all separate. As humanity, I am one with you; as Mr. So-and-so, I am different from you. As a man you are separate from woman, but as human beings you are all one; as a living being you are one with animals and all that lives, but as man you are separate. That existence is God, the ultimate unity in this universe. In Him we are all one. We find, then, that if by the idea of a universal religion is meant that one set of doctrines should be believed by all mankind, it is impossible, it can never be, any more than all faces will be the same. Again, if we expect that there will be one universal mythology, that is also impossible; it cannot be. Neither can there be a universal ritual. When this time comes the world will be destroyed, because variety is the first principle of life. What makes us formed beings? Differentiation. Perfect balance will be destruction. What then do I mean by the ideal of a universal religion? I do not mean a universal philosophy, or a universal mythology, or a universal ritual, but I mean that this world must go on, wheel within wheel. What can we do? We can make it run smoothly, we can lessen friction, we can grease the wheels, as it were. By what? By recognizing variation. Just as we have recognized unity, by our very nature so we must also recognize variation. We must learn that truth may be expressed in a thousand ways, and each one yet be true. We must learn that the same thing can be viewed from a hundred different standpoints, and yet be the same thing. In society we see so many various natures of mankind. A practical generalization will be impossible, but for my purpose I have simply characterized them into four. First, the active man; then the emotional man; then the mystical man, and lastly the philosopher. To be universal, religion must provide possibility of realizing truth through means suitable to any one of these minds, and a religion which says that through one alone all men must struggle, whether these minds are capable of the struggle or not, must end in agnosticism. In his lecture on Karma Yoga, Swami dealt with the science of work. The lecture for the most part analyzed the motives men have in work, and particularly the motive of heaven as a reward for good work on earth. This, said the Swami, is shopkeeping religion. Work alone reaches its highest when it is done absolutely without hope of reward, work for work's sake, and without regard to the consequences. In discussing Bhakti Yoga, Devotion, the Swami explained the rationale of a Personal God. This idea of devotion and worship of some being who has to be loved, and who can reflect back the love to man, is universal. The lowest stage of the manifestation of this love and devotion is ritualism, when man wants things that are concrete, and abstract ideas are almost impossible. Throughout the history of the world we find man is trying to grasp the abstract through thought forms, or symbols, and the external manifestations of religion. Bells, music, rituals, books, images come under that head. Man can only think with form and word. Immediately thought comes, form and name flash into the mind with them, so that when we think of God, whether as the Personal God with human shape, or as the Divine Principle, or in any other aspect, we are always thinking of our own highest ideal with some or other form, generally human, because the form of man is the highest of which man can conceive. But, while recognizing this as a necessity of human weakness, and while making proportionate use of rituals, symbols, books and churches, we must always remember that it is very good to be born in a church, but it is very bad to die in a church. If a man dies within the bounds of these forms, it shows that he has not grown, that there has been no uncovering of the real, the Divinity, within him. True love can be regarded as a triangle. The first angle is, love knows no bargain. So when a man is praying to God, "give me this, and give me that," it is not love. How can it be? "I give you my little prayer, and you give me something in return"; that is mere shopkeeping. The second angle is, love knows no fear. So long as God is regarded as a rewarder or a punisher there can be no love for him. The third angle, the apex, is, love is always the highest ideal. When we have reached the point where we can worship the ideal as the ideal, all arguments and doubts have vanished forever. The ideal can never escape, because it is part of our own nature. In his lecture at Harvard University, (Cf. "The Vedanta Philosophy",) the Swami traced the history, so far as is known, of the Vedanta philosophy, and showed to what extent the Vedas (the Hindu scriptures) are accepted as authoritative; merely as the foundation for the philosophy in so far as they appeal to the reason. He compared the three schools, the Dualists, who acknowledge a supreme being, and a lesser being manifesting in men, but eternally separate from men. Next he described the philosophy of the Qualified nondualists, whose particular idea is that there is a God and there is nature, but that the soul and nature is simply the expansion, or the body of God, just as the body of man is to man's soul. They claim, in support of this theory, that the effect is never different from the cause, but that it is the cause reproduced in another form, and as God, therefore, is the cause of this universe, he is also the effect. The Monists . . . declare that if there is a God, that God must be both the material and the efficient cause of the universe. Not only is he the Creator; but he is also the created. He himself is this universe, apparently; but, in reality, this universe does not exist — it is mere hypnotisation. Differentiation is in name and form only. There is but one soul in the universe, not two, because that which is immaterial cannot be bounded, must be infinite; and there cannot be two infinities, because one would limit the other. The soul is pure, and the appearance of evil is just as a piece of crystal, which is pure in itself, but appears to be variously colored when flowers are placed before it. In discussing Raja Yoga, the psychological way to union with God, the Swami expanded upon the power to which the mind can attain through concentration, both in reference to the physical and the spiritual world. It is the one method that we have in all knowledge. From the lowest to the highest, from the smallest worm to the highest sage, they have to use this one method. The astronomer uses it in order to discover the mysteries of the skies, the chemist in his laboratory, the professor in his chair. This is the one call, the one knock, which opens the gates of nature and lets out the floods of light. This is the one key, the only power — concentration. In the present state of our bodies we are so much distracted, the mind is frittering away its energies upon a hundred sorts of things. By scientific control of the forces which work the body this can be done, and its ultimate effect is realization. Religion cannot consist of talk. It only becomes religion when it becomes tangible, and until we strive to feel that of which we talk so much, we are no better than agnostics, for the latter are sincere and we are not. 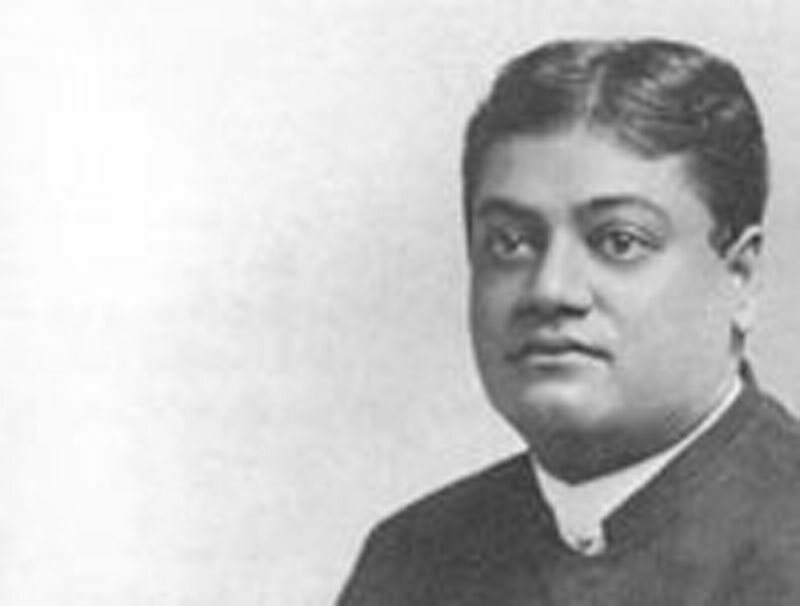 The Twentieth Century Club had the Swami as their guest Saturday [March 28], and heard an address from him on the "Practical Side of the Vedanta Philosophy." He leaves Boston today, and will, within a few days, sail for England, en route for India.